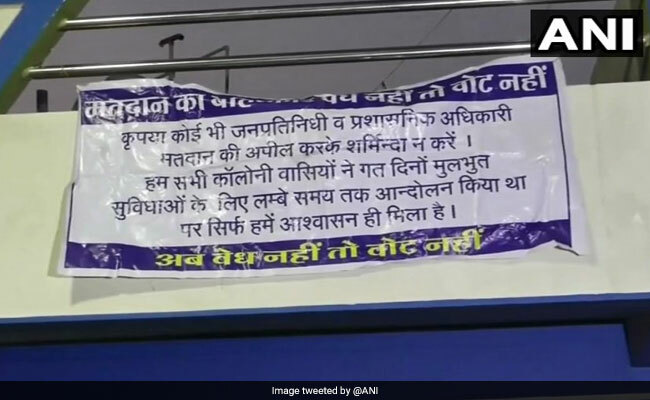 Residents of seven unauthorized colonies at Neemuch in Madhya Pradesh put up posters outside their houses and said that they will boycott the elections on November 28. "Please do not ask us to vote and embarrass us. We are illegal so how can we vote legally? For nearly 25 years we have been living in hellish conditions but no state official or representative have done anything despite bringing it to their notice and protesting earlier," read the poster on one of the houses. The locals are also opposing the entry of any politician in the area for campaigning. They say that till the time their colonies are not legalized and they are not provided with basic facilities, they would neither vote nor allow anyone to campaign. "Five years ago they promised us that they will declare our colony authorized, but nothing happened. It has been 25 years since the colony was established. 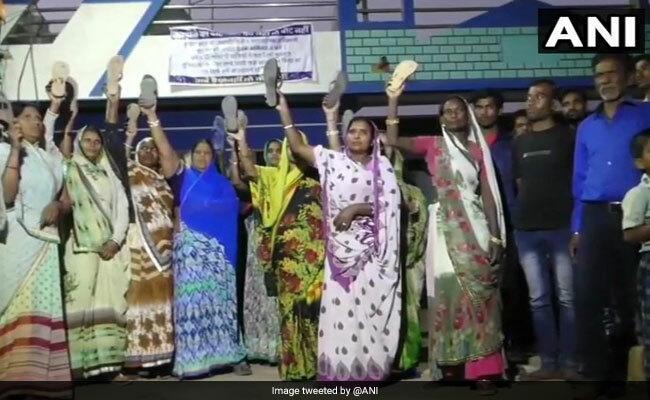 The BJP and the Congress cheated us, we would not let any political leader come here nor would we cast our votes," said Mukesh Rao, a villager in Neemuch. There are black flags outside their houses as a sign of protest. Villagers allege that during elections, politicians camping in their locality and make tall promises, but never fulfill them. "They did not do anything for us, why should we let them come here again. We bring water from other localities, even the sewage system is not proper here," said another villager. Not only in Neemuch, 50 kilometre away in Mandsaur, where six farmers were killed in police firing last year during the massive protests, soya bean growers are upset. Despite a decent harvest, farmers claim they are suffering losses due to falling prices.